This entry was posted in Academics, Students and tagged fulbright on April 27, 2011 by Wire Eagle. AUBURN – Kristen Snow, a senior in Auburn University’s College of Liberal Arts, has been awarded a Fulbright-French Ministry of Education Teaching Assistantship to teach in France for the academic year 2011-12. Snow will be placed in the Académie de Rennes where she will be assigned to one or more schools in the region. 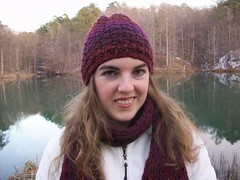 A member of the Honors College with a 4.0 grade point average, Snow is Auburn’s third consecutive Fulbright Student Scholar, following Rebecca Ludvigsen, Germany, 2009, and Helen Hunter Robertson, France, 2010. In addition to Snow, five other College of Liberal Arts seniors have received assistantships to teach in France. Abigail Hess, Nadia Mazaheri, Rachel Naftel, Sigourney Smith and Allison Thompson have been awarded the competitive Teaching Assistant Program in France assistantship sponsored by the French Ministry of Education. Each year the Fulbright Scholarship program and the French Ministry of Education allot 50 applications for the Fulbright-French Ministry of Education Teaching Assistantship. To be eligible for the award, the student must complete a Fulbright Scholarship application which requires a detailed project proposal and personal statement. The applicant must also submit three letters of recommendation, a letter certifying fluency in French and an interview with the campuswide selection committee.